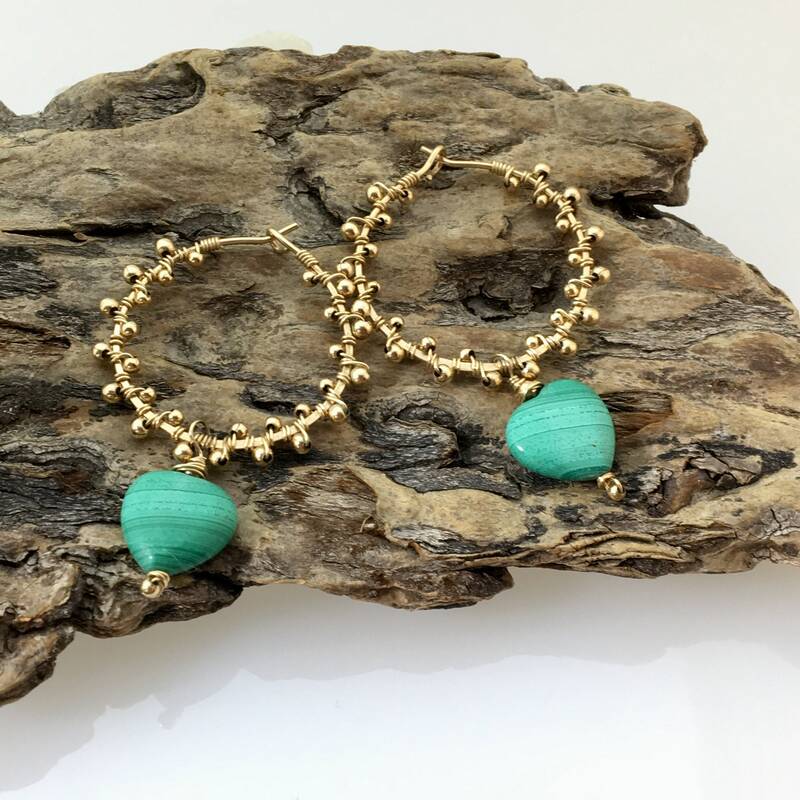 Hand forged gold filled hoops are embellished with wire wrapping and gold filled larger and smaller beads trapped to create a rich lacy pattern. 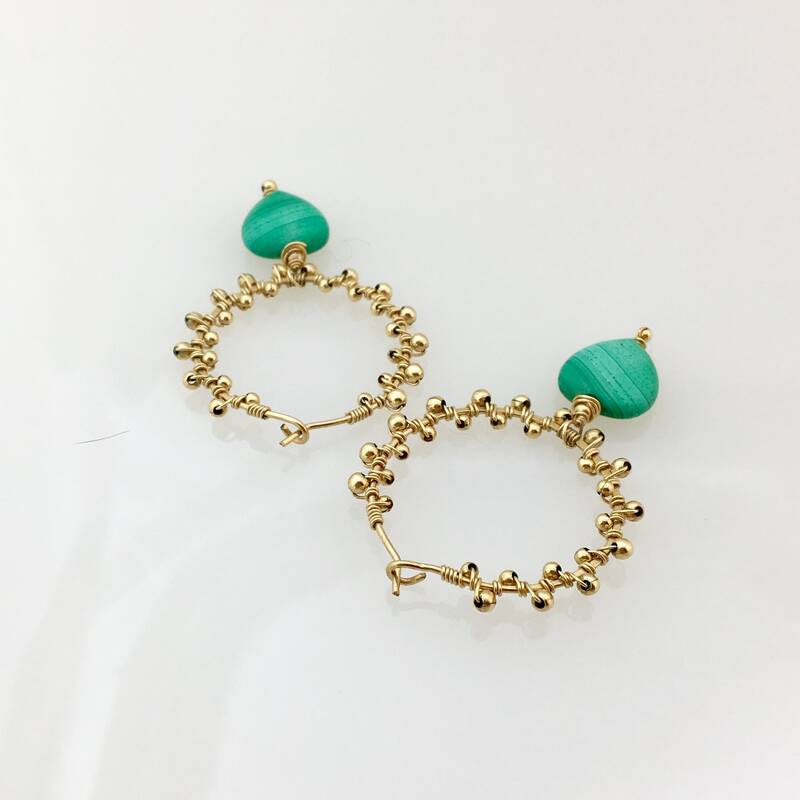 The designs are tumbled for strength and shine. 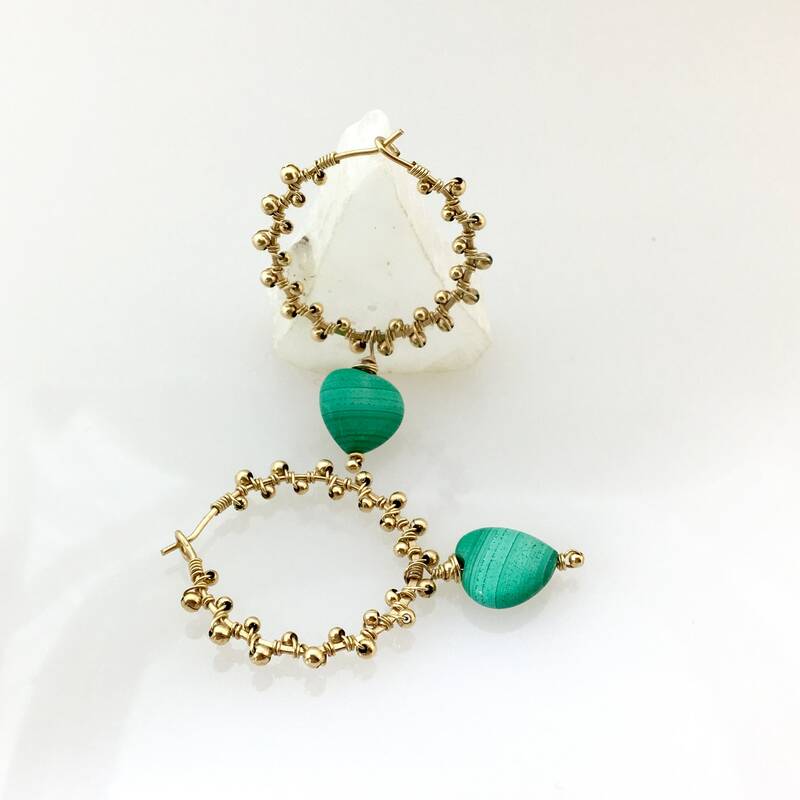 Natural teal green malachite, with gorgeous subtle striping or strata, borders on a teal green color. 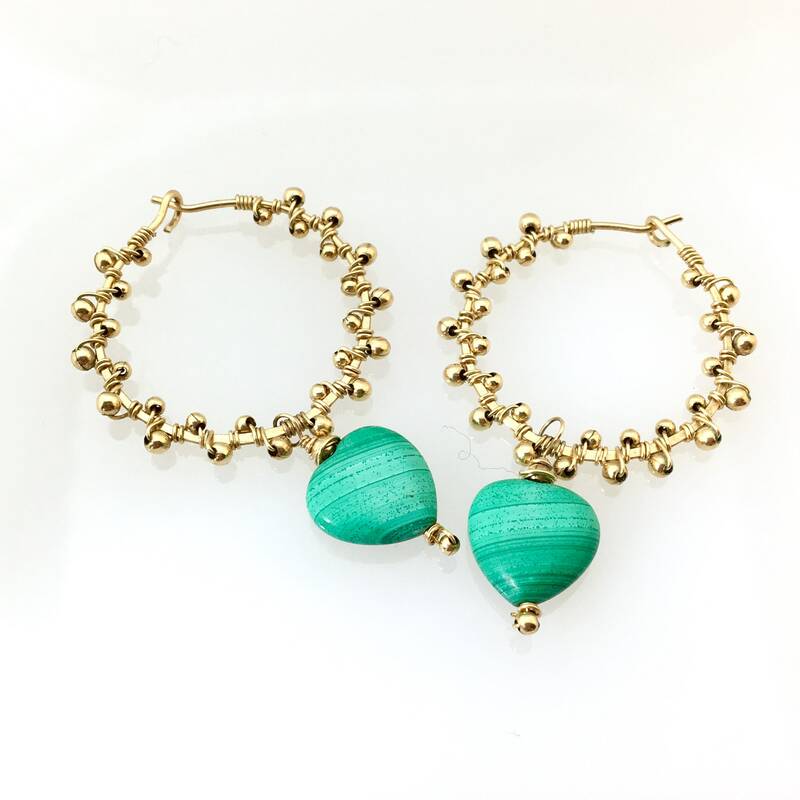 The smooth hearts have been wire wrapped to dangle from the bottom of the hoops. 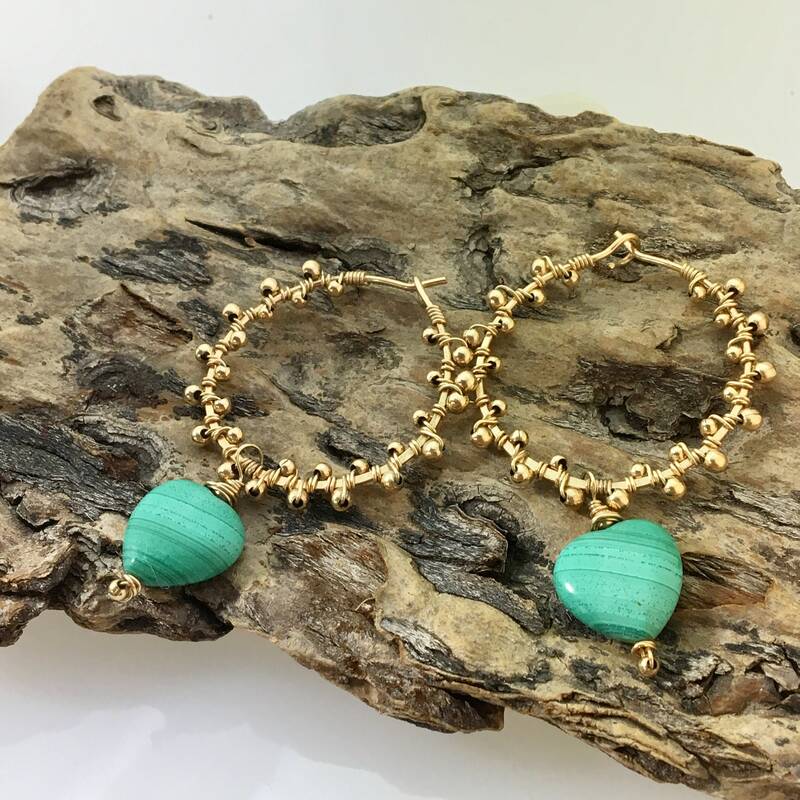 The rich handmade texture of my gold filled hoops is a lovely setting for the green stone hearts. 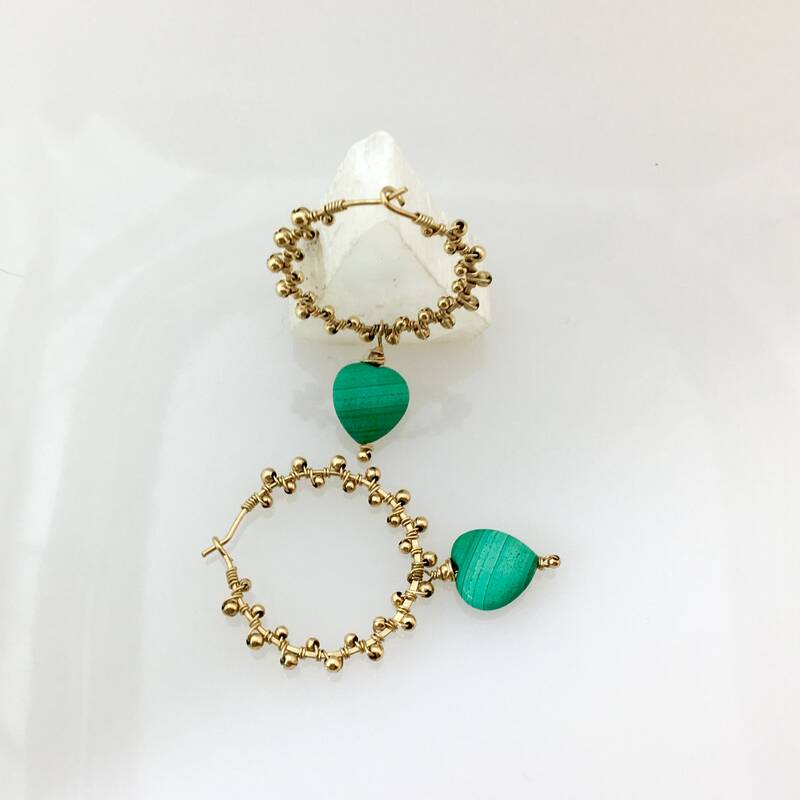 Gold filled wire is used throughout the creation of my unique earrings. 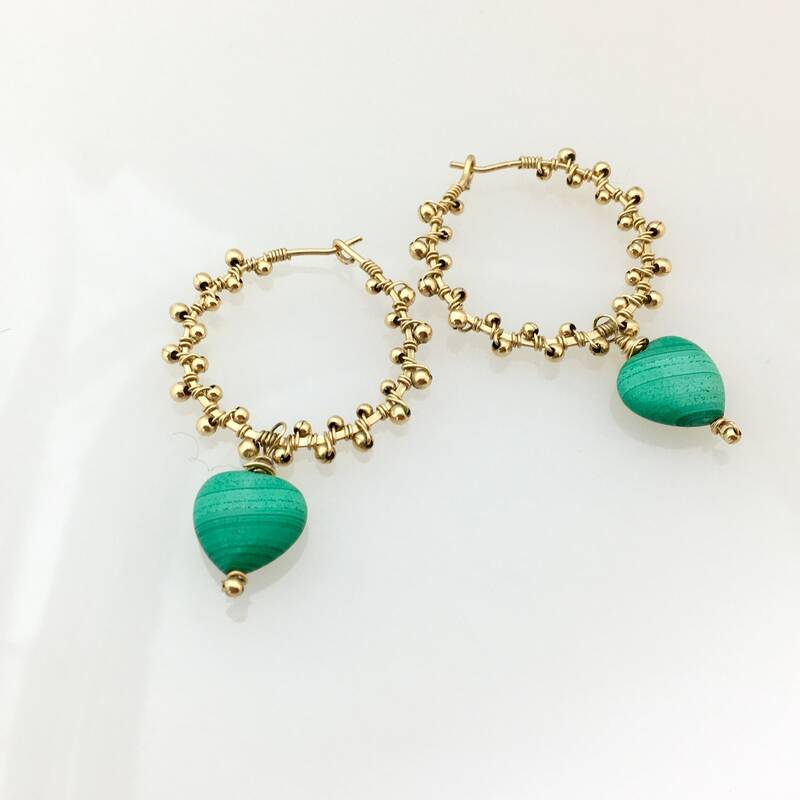 The hoops are about 1 1/4” wide and 1 7/8”long. They come packaged in my signature gift box. 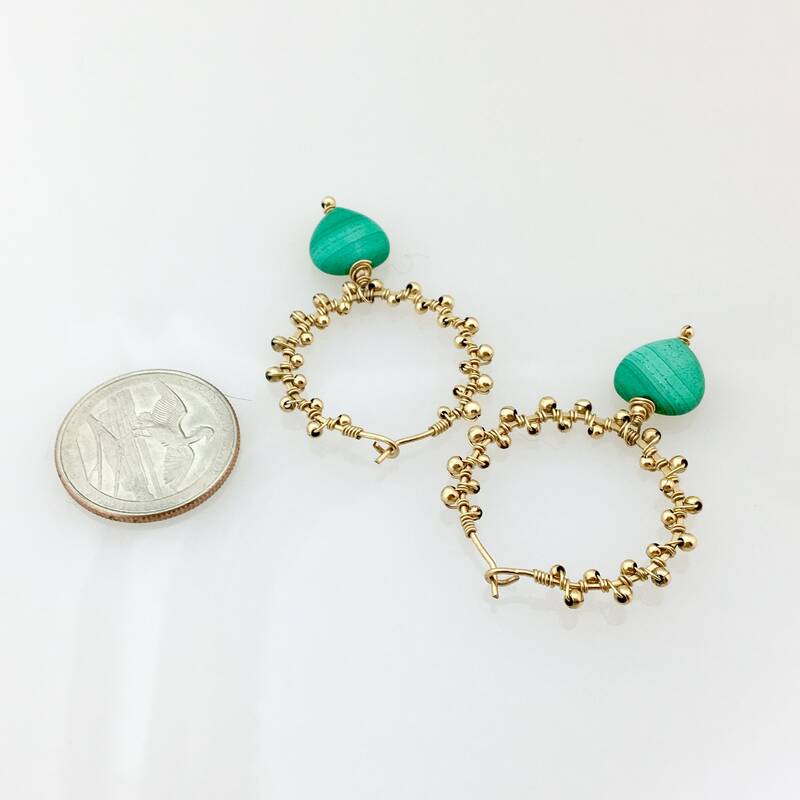 So easy to wear and a perfect gift for the woman who appreciates earrings that are different and special as these are my original design.